Have you had homemade ice cream? It is by far one of my favorite things to eat and make! Would you believe me if I told you that you can make homemade ice cream with just four ingredients? It’s true! Read on to find out how! 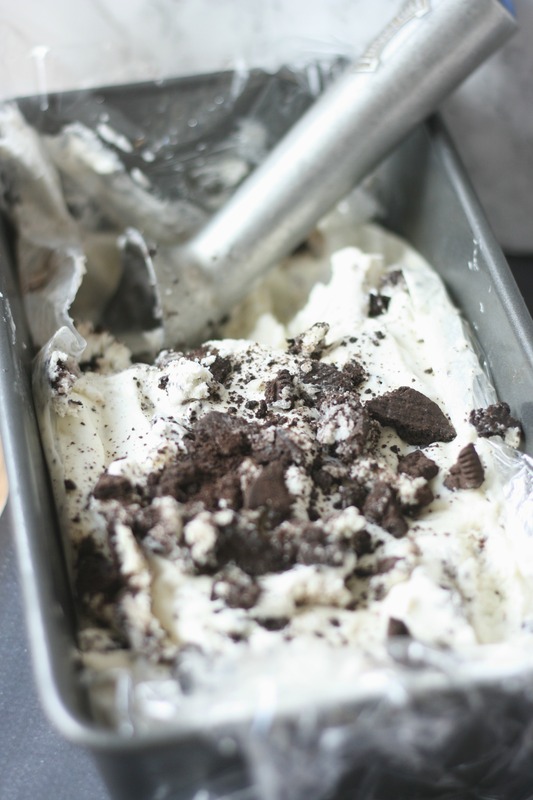 First, let me share a little back story on how I came up with this No Churn Cookies and Cream Ice Cream recipe. Last month, I was having some fun on the Mom Blog Tour at the Natural Products Expo in Anaheim, California and we had the chance to sit down with Back to Nature Foods and talk about some of their products. I’ve been a big fan of their products for a few years now. I love how they are focusing on developing new flavor varieties of their most popular products and offering cleaner versions of consumer favorites – like their new chewy chocolate chunk cookies (without artificial colors, flavors, or ingredients! And Non-GMO Verified). Which by the way, are the only chewy chocolate chip cookie on the market in the natural food space. Some of the other delicious products we tried at Expo West were different varieties of Back to Nature’s granolas and crackers. After trying the Double Classic Creme Cookies at the expo though, I found a new favorite! I knew immediately it would be the perfect cookies to use in my No Churn Cookies and Cream Ice Cream. In a bowl, mix together condensed milk and vanilla. 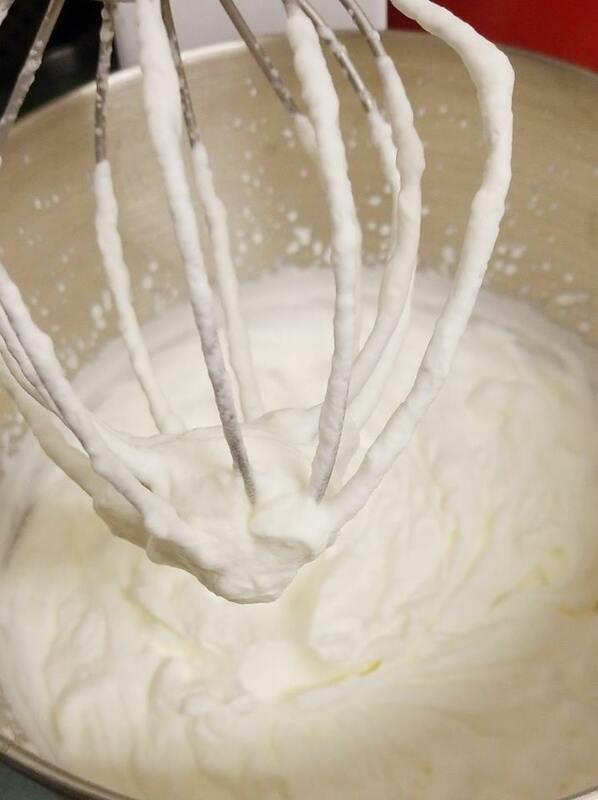 In the bowl of your stand mixer, whip heavy cream until soft peaks form. Add the milk mixture to the heavy cream and stir together. Fold in crushed Back to Nature cookie pieces, reserving a handful. Pour mixture into a freezer safe container. Add reserved crushed cookies to the top. Cover with plastic wrap. Freeze for 6 hours to overnight. Be sure to pin this recipe so that you can enjoy it sometime soon! I love that this recipe does not need a machine. I need to try making ice cream. 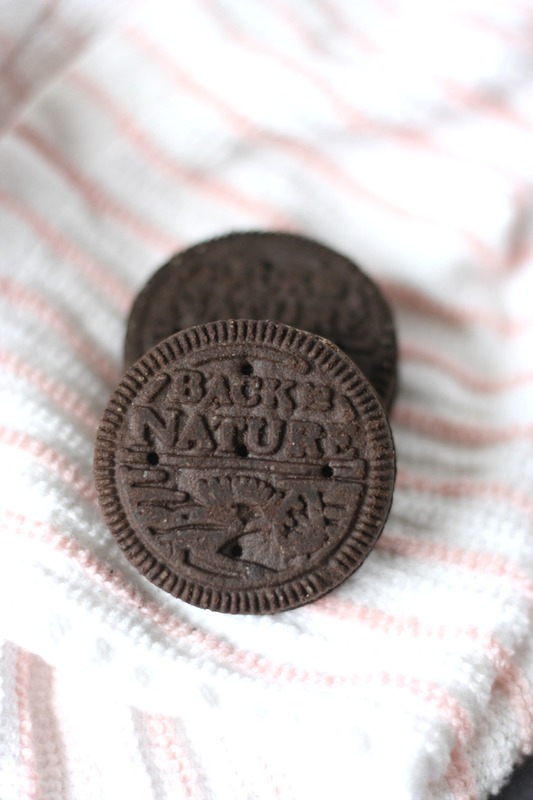 I love back to nature cookies! I always felt best giving them to my kids when I did start giving in to little sweets. Looks so delicious! I’ve actually never made homemade ice cream before, I just didn’t realize it could be this easy. All the yum! I would have never guessed this was no churn! I just made homemade (keto) ice cream for the first time 2 weekends ago and I can’t wait to explore all the other options! OK now this sounds like an absolutely amazing ice cream idea. I love that it is no churn as I’m not sure I could manage to churn anything! Homemade ice cream is totally on our summer bucket list that we are working on! Just found our recipe! Yum! Oh wow…I’ve been wondering how to make no churn ice cream! Those cookies look really good on their own, too! I love no churn style ice cream! I would love to make this for my cookie loving kids! This is my favorite flavor of ice cream. I can’t wait to try out your recipe. I bet this will taste amazing. 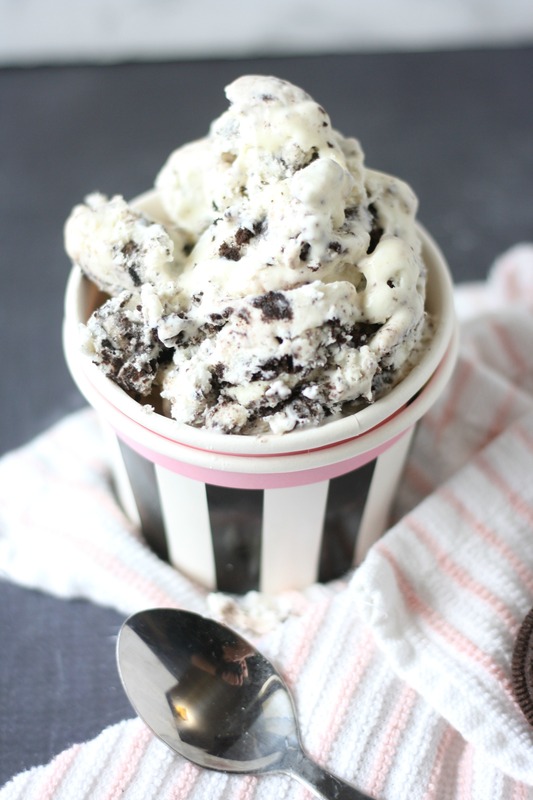 The only way to make cookies and cream ice cream better is by making it a simple no churn recipe! I’m going to have to try this for sure. I am loving this ice cream. I haven’t heard of Back to Nature but would love to try their products. Cookies and cream is one of my favorite ice cream flavors. I know what I’m making really soon. I just love making no churn ice cream. Cookies & Cream sounds absolutely delicious! Oh, I love this! I can’t wait to try it this weekend!! 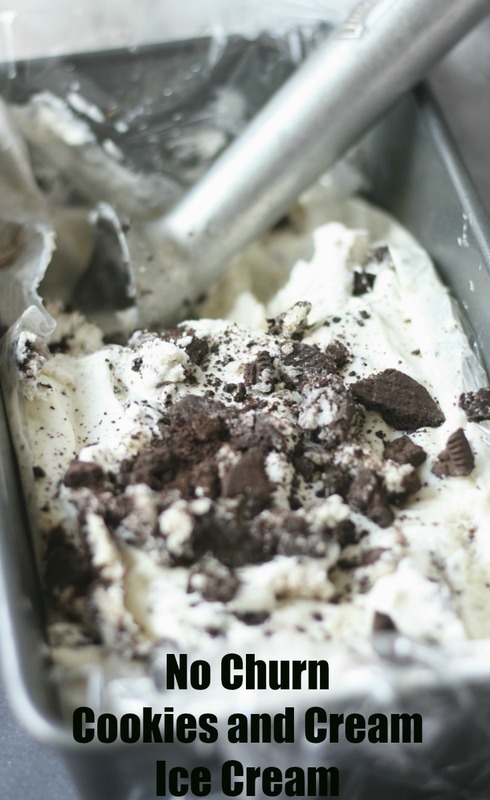 Cookies and cream ice cream is one of my favorite flavors! This looks amazing. I can’t wait to try this. I honestly didn’t even know you could make ice cream without a machine. This is huge news to me! 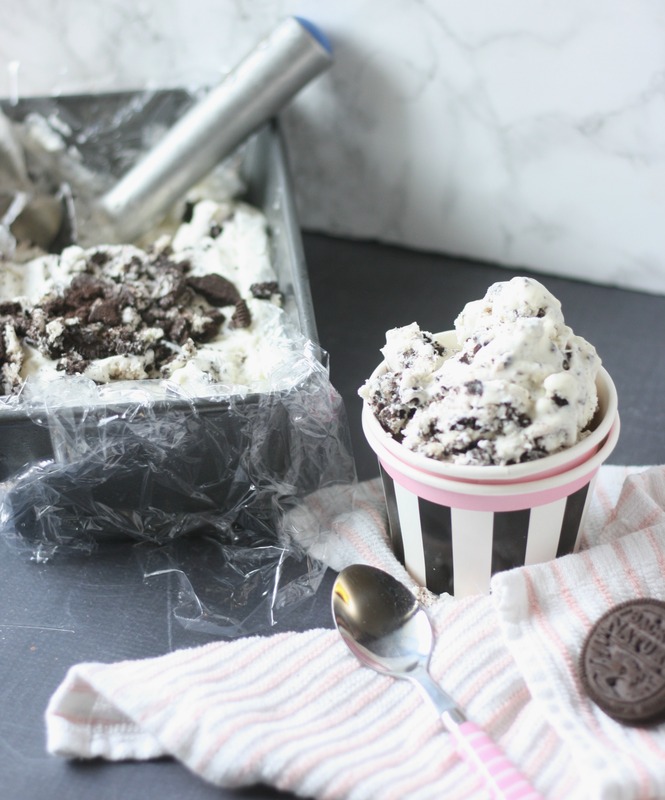 We have a really similar no-churn recipe we use when we make cookies and cream ice cream and it’s so good! Gonna have to try those cookies! Thanks for this recipe. It’s school break and it’s summer here, so this will be a sweet way to cool down. It’s so awesome that you can make this without churning. I’ve seen a few of these type recipes and have been wanting to give it a try. The kids have been wanting me to as well. This looks yum! One day I’m going to make ice cream. I’m on a strict diet right now since I’m trying to lose weight. The recipe looks easy enough! I am the world’s worst cook, but ice cream is my absolute fave and this looks absolutely amazing. Cookies and cream is my son’s favorite ice cream flavor. I think he’s gonna have fun following this super easy recipe with me. Looks yummy! I have to try this! I LOVE making my own ice cream and our ice cream maker just broke. A no churn recipe is perfect! Homemade ice cream with 4 ingredients? Sounds awesome, especially with warmer temperatures making their way into the region. The fact that it’s no churn is a great thing too. You make it so easy sound so easy to create your own homemade ice cream but it seems too good to be true. I need to get those cookies and try this myself for the kids. Homemade ice cream brings back such sweet memories from days past. I love this no-churn 4-ingredient suggestion. It’s time to make even more sweet memories this summer! I love how easy this is to make. My kids are going to gobble this up when I make it. I love the no churn recipes. I think they are quick easy and delicious. Now it is getting nicer, this i looking very appetizing. Honestly, I have never tried any Back To Nature products and I sit here wondering why! Those granola snacks look really delicious. I am a big fan of Honey Nut Granola so I will definitely get some of those. Thanks for sharing the ice cream recipe too! Holy cow, I can’t believe how easy this is to make! Cookies n cream is my hubby’s favorite ice cream. he’s going to be so excited when I MAKE it for him! Back To Nature is a brand we eat. I love the cookie and ice cream idea for sure. This ice cream sounds amazing. And I love that it is no churn. That ice cream has my mouth watering. Back to nature is one of my fav brands of snacks for my kiddies! I love back to nature cookies! Hard to pick a favorite! My son loves them too! There’s nothing better than homemade ice cream! I do have an ice cream maker, but this sounds so simple and delicious! I need to try this! Looks SO good! Perfect treat this weekend! We love making our own ice cream at home and this definitely makes it a whole lot easier because it’s a no churn recipe! Thanks for the step-by-step on how to make it. My family will surely love this treat! I can’t wait for the weekend. Thanks for sharing! I would love to make home made ice cream but the last thing I need is another appliance in my kitchen. This recipe seems ideal! I love cookies & cream icecream. Especially with a bit of mint flavoring. I’ll try it. Thanks! Cookies and cream is my favorite flavor of ice cream! I’ve never made homemade ice cream before, but would love to make this in the future. Looks and sounds amazing! That looks so good. I have never tried making ice cream but I am going to now! Thanks for the recipe! This sounds delicious! I have never made my own ice cream before, because I was always under the impression that I needed an ice cream machine. Thanks for sharing! Sign me up for a massive order of this, please! I would love to try this ice cream, and the cookies. Thanks for posting! We are always looking for different treats to prepare the grand kids….and me! Mmmm, this looks delicious. What a great idea of making an ice cream at home. I wonder if it’s cost effective, but sure my kids would enjoy it and be proud of themselves. Thanks for sharing! I’m always looking for good home made ice cream recipes! I especially love the back to nurture cookies as well! I LOVE no churn ice cream. It makes for an easy dessert.. and I am one of the laziest people in the kitchen ever 😉 Love the addition of cookies! Thanks for sharing this. I will try it for sure. My husband often talks about how his mom used to make home made ice cream on Sunday evenings. One of his fondest memories. OMG this looks delicious. I want this RIGHT NOW!!! Well, we just saved this recipe! This is so perfect for a summer treat! Excellent recipe for these hot days, by the way, I entered the giveaway. Fingers crossed!! Just love home made ice cream because you can eat as much as you can😋 and its just one time investment to buy ingredients so much money you can save!!! The great thing about this products are no artificial colors, flavors, or ingredients!!! This is a great recipe for Summer coming soon. My daughter and I will have to try this out very soon! We’ve made homemade ice cream I few times, but we used a custard-base I believe. I would love to try making this with my daughters. I think they would have a blast crushing up all the cookies to mix in. And cookies and cream is my favorite, so it all works out! Ice cream is one of my vices! If it’s cookies and cream and it’s also homemade then it’s even more difficult to restrain myself! It looks delicious!